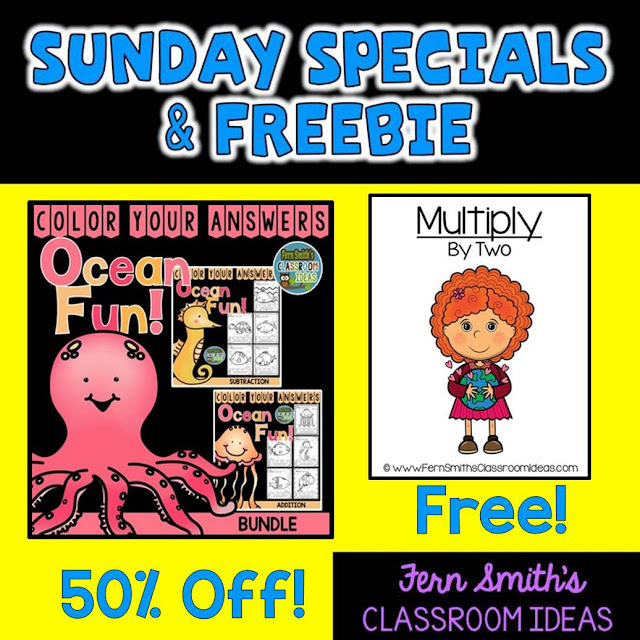 Sunday Special and Freebie: Color Your Answers Ocean Fun and Earth Day Multiply By Two Center Game - Fern Smith's Classroom Ideas! Time for a little fun to help with your weekly lesson plans. One is free and one resource is 50% off! If you are reading this after Sunday, April 17th, be sure to check back each Sunday to see what's new!